The Neve Avraham Child Development Center, located in Kiryan Arba, offers treatments for children Struggling with a host of emotional and developmental challenges. Neve Avraham was created by a courageous family after they adopted a severely handicapped baby. Struggling to provide their child with proper care, they faced dangerous and time-consuming travel to Jerusalem. 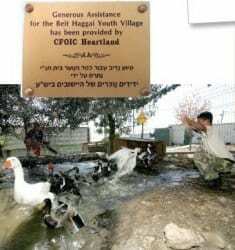 Neve Avraham was their answer, making so many vital therapies available not only to their daughter but to the many learning disabled and handicapped children in the area. 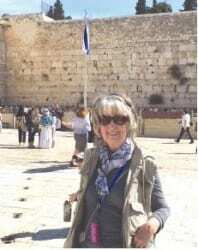 Linda Smith loves Israel. She feels deeply connected to the vast desert in the south, the white beaches of Tel Aviv, the green thick forests of the Carmel and the biblical mountains of Judea and Samaria. This attachment was always pure and powerful but has become stronger with every year. Linda has always loved Israel and when she married Ed Smith in 1985, they discovered a shared passion for the Land. They made a number of visits to Israel on their own and later on, began to organize their own tours. For Linda and Ed, visiting Israel was not just about visiting a beautiful country and enjoying historical sites. For them, Israel was the foundation of their faith and the place where they and everyone they brought with them, would gain a profound understanding of the origins of Christianity as well as a sense of responsibility towards the Israel of today. true and he would grow up to be the hero of Zufim, keeping the people of that special community safe and peaceful. There is a delicate balance in Judea and Samaria between its Jewish and Palestinian populations creating a unique situation like nowhere else. Despite the media’s portrayal of what they refer to as the “West Bank,” life in Judea and Samaria is about two peoples trying to live peacefully, one beside the other. 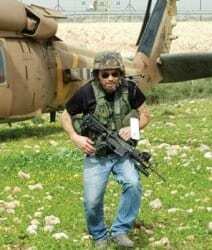 This unusual coexistence is created through the hard work and devotion of the Israel Defense Forces, the police and the community’s civilian security teams. been a lifeline for the Beit Haggai Youth Village. The unbelievable gifts that we received from our Christian friends worldwide have enabled us to provide for the boys living with us in so many ways. This year we asked for your help to buy clothes for these boys, who come to us with nothing or almost nothing of their own. And we also asked for support for our art and agriculture programs. And you have already given us so generously to buy clothes for the boys.